As is often the case it can sometimes be who you know and as chance would have it in my office is a lovely fellow, Mr J, who together with his wife, have started a West Australian based printing company – Margaret River Press. Their first publishing effort was called ‘Chefs of the Margaret River Region‘ done in conjunction with Lisa Hanley (author) and Sue-Lyn Aldrian-Moyle (Photographer and Co-Author) and is a salute to the creative genius of chefs in Margaret River, as well as an acknowledgement of the visual wonder of the region. On hearing that I didn’t mind my food, Mr J gave me a copy of the book to look through, for which I am so grateful! It is a seriously beautiful. A brilliant collection of photos that highlight what makes that part of the world so special. It’s particularly wonderful too that these chefs have so willingly let us have a sneak peak of their signature recipes and proffered the challenge of giving them a whirl at home. Now I’ll admit they are challenging recipes, but what a divine way to spend some of your weekend. Carefully following their detailed instructions and doing your darndest to create a meal that looks as close to theirs as possible. I’ve got my eye on a few of the recipes that I would like to have a go at, one day when I have some quality time to devote to such a task. I fully suggest having some sort of snack close at hand when looking at this book because all the fabulous photos of food will inevitably make you very hungry! So my suggestion, make an afternoon of it and really savour the images of the delectable wonders in front of you with a bit of a salute to the region…. a nice bottle of Margaret River wine, and you are spoilt for choice on the winery front in that region, and you’ll need something to eat, so hmm…. Maybe some cheese from the Margaret River Dairy Company, or some of the tasty goodies from Providore and a sweet treat to finish from the Margaret River Chocolate Factory. Any foodie or budding home cook will appreciate this book, it would make a lovely gift or is an excellent addition to any cook book collection, and it will undoubtedly provide you with the ultimate inspiration to head down south as soon as possible! Perhaps to the upcoming Margaret River Gourmet Escape …. It’s like the two go hand in hand! 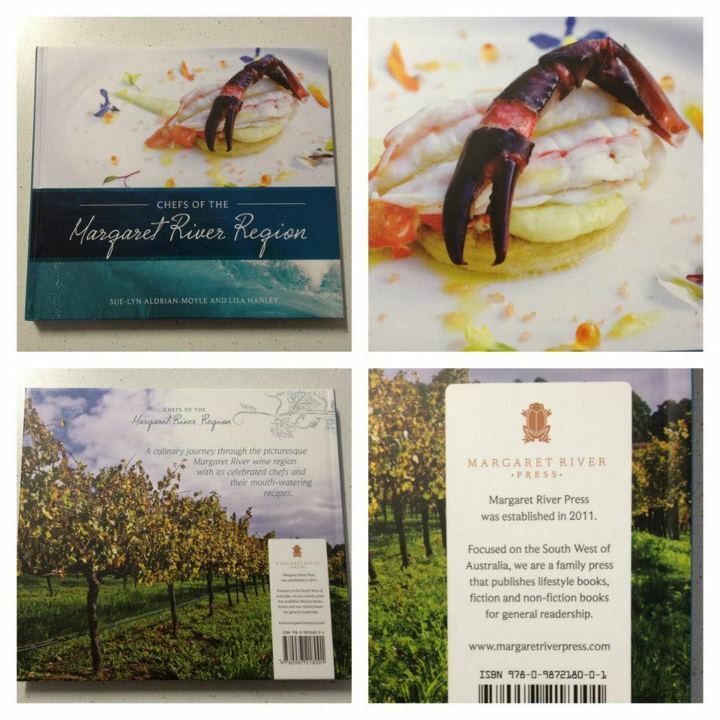 Hard copies of ‘Chefs of the Margaret River Region’ can be ordered online for $55 or for those tech savvy amongst us, it can also be ordered as an e-book for $13.99 from the istores. I saw this book at Oxford Street Books in Leedy. So pretty and there’s so many amazing recipes! Great little post – good work Perth Munchkin – thanks for sharing! Thanks dear 🙂 It’s a very pretty book! Makes me want to give up my day job and just try and make fancy recipes all day long!